Who doesn't love a good shortcut? Doing things the long way is the like paying retail, why do it if there is a better (cheaper) way. A while back I wrote about Auto Text/Word Substitution on the BlackBerry and there were some great comments from the community sharing their personal favorites. I thought today I'd write about some of my favorite shortcuts on the BlackBerry smartphone, not necessary just though the Word Substitution method, but also a couple of old time keyboard combinations that some may find new to them or a good reminder for some of the old time BlackBerry users. mypin - will show your PIN in a message. Very useful if someone email or SMS you asking for your PIN. mynumber - will reveal your phone number, a good feature for people like Bla1ze who never uses the "phone" part of your BlackBerry you may not remember what your phone number is. On the last CrackBerry podcast the topic of keyboard shortcuts came up, so I thought this would be a perfect time to re-read Adam's roundup of BlackBerry shortcuts. Digging back through the CrackBerry archives can be an amazing adventure. 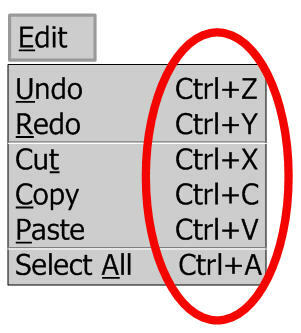 Do you have some favorite shortcuts? Leave them in comments as we all could use some more tips and tricks.